Emily lives and breathes color. 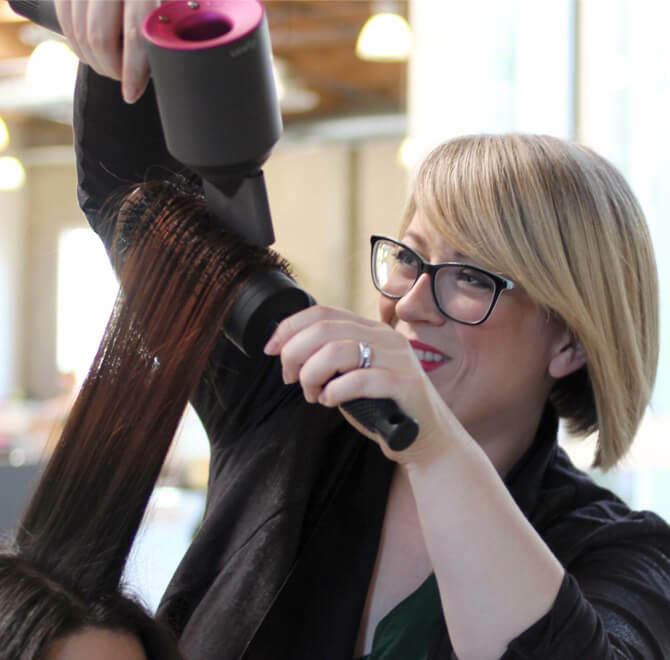 She brings years of salon experience to her role here at eSalon, where she and the team empower clients to reach their color goals—without having to go to a salon. 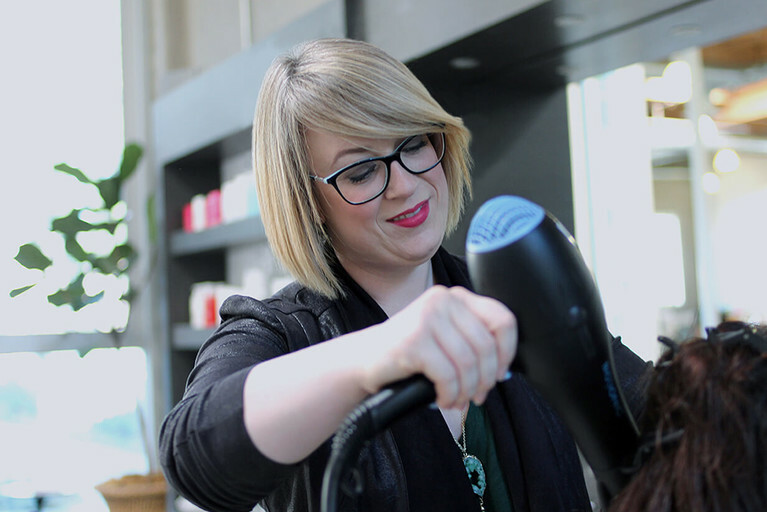 Yeah, it's a big job, but there's no place Emily would rather be than guiding clients to their hair color happy place. What do you love most about your job as an eSalon Colorist? There are so many things I love about my job! First of all, I get to work with a group of colorists I genuinely respect and love working with. But what I find especially fulfilling is helping our clients find solutions to their hair color issues. Sometimes, even a simple adjustment can make a world of difference, and when we help our clients overcome their hair struggles it is such a wonderful feeling. How do eSalon colorists customize color? When a client places and order, they are assigned a specific colorist who formulates their color using our proprietary computer system. The colorist carefully evaluates the client's profile, their color/chemical history, and any photos or comments they may have uploaded. Then we design a completely unique formulation based on each client's needs. “Yes, we sell color and great hair care products, but we also empower our clients. How do you formulate color so it's exactly what your customer wants? I formulate a color visually and make the necessary adjustments to create the desired result. One order that comes to mind is a client who wanted to match her dark blonde copper hair, but chose a significantly darker color on our site. Because I knew she didn't intend to color her hair a dark brown, I adjusted the formulation to be closer to the dark blonde copper she had in the photo she provided. I don't think I could live without our Cream CoWash. I love that this cream gently cleanses my hair, doesn't strip the color, and leaves it soft, silky and manageable. It also smells wonderfully herbal, and is such a relaxing way to start the day. What do you like about eSalon's color and products? I love the idea that we sell salon-grade hair color, and essentially create a salon experience for our clients at home. All the client has to do is apply it! Then we provide salon-quality products that help our clients maintain their color. Yes, we sell color and great hair care products, be we also empower our clients. What would you say is the most common hair color issue? Over-processing! If you're maintaining your color, I always recommend to just color the regrowth. This prevents hair color from processing too dark and makes sure that results are natural-looking and even from root to tip. What's the one thing you think women should know about coloring their hair at home? Coloring your hair at home can be hard and it takes practice, but you can do it! And remember, you aren't alone. We are always here to support you through the entire process, so don't be afraid to ask us anything!